If you’ve spent at least ten minutes on a WordPress website, trying to configure it, you’d know how arduous it is to discover a relevant and effective plugin, isn’t it? In the parallel universe, you may install every plugin and try out how beneficial it can be. However, in the real world, this activity can create some serious problems. To begin with, an abundance of active plugins can decrease the speed of your website. And then, the security of the site can also come under threat. So, how do you find the correct plugin that can help you establish a significant balance between requirements and website performance amidst several other aspects? The answer to this question can be covered in one simple word – Conversions. What’s the point of having a website if it isn’t working in your favor? Navigating through hundreds of plugins just to find one effective golden nugget is simply the wastage of time. To help you prevent committing any mistakes, here is the list of top 10 WordPress plugins that can help you boost conversions like never before. Only after you have understood what your target audience is looking for you can take effective steps to convert them into loyal customers. In this situation, Survey Funnel is the plugin that can help you capture leads, engage the audience, obtain customer data, and build sales funnel. The effectiveness of this plugin can be easily assessed from the fact that top marketers, including Neil Patel, have appreciated it. Its wide range of features would be enough to increase your conversion rate tremendously. Out of all the features, its Conditional Logic can help create next questions based upon the last response that your users registered. With this, keeping visitors hooked would be easier. And then, with its Super Analysis, you can get an idea of how your visitors are responding to the designed surveys; hence, making conversion a plain-sailing. When talking about elements that can enhance the appearance of your site along with increasing the conversion rate, sidebars can be put on top of the list. Custom Sidebars is a plugin that lets you create unlimited sidebars and customize them through the widget page. Widgets perfrom way more then just what people claim, widgets can also improve your pageviews. With these custom sidebars, you can easily display relevant content, adequate menus, and attractive call to action buttons on different posts and pages of your site. When it comes to integration, this plugin doesn’t pose many hassles. Furthermore, to keep a backup or share sidebars individually, you can also import and export them with this plugin. Also, you can even choose to display a specific sidebar for each of your authors; therefore, maintaining their identity. The internet is filled with tips and techniques through which you can gain better conversion rates. Even if you’re a rookie, it wouldn’t be difficult for you to understand what marketing gurus want to recommend or suggest you. While you may concentrate more on conversion or branding techniques, you shouldn’t miss upon those activities that can help establish your brand’s credibility, specifically if you’re a new gamer in the domain. Gaining comments can be effective in this context. However, most of the times, users avoid commenting just because they don’t want to type in their details to leave a comment. Hence, this particular plugin lets people share their views just with the click of a button. This is one of the most considerable and widely-used plugins that helps you have a glance over the performance of the website. With Monster Insights, comprehending complicated analytics doesn’t seem to be a difficult job. Right from audience behavior to traffic sources, you can seamlessly find out what’s working for you and on which metric you’re wasting your time. Having this data in your hand, you can develop a data-driven strategy to increase your conversion rate. Even if you have a WooCommerce store, MonsterInsights provides tracking functions that can help you obtain the required data. Its setup is also quick and easy. So, even if you’re an inexperienced person, operating this plugin would be a matter of a few minutes. These days, forms have become an integral part of almost every kind of website. 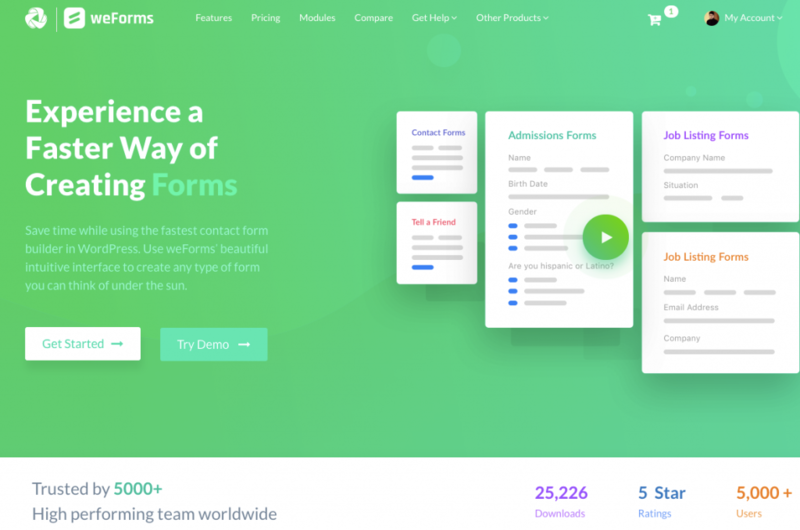 And, to fulfill that desire, weForms come with an effective drag and drop builder that makes the creation of beautiful forms easy and instant. Furthermore, this plugin has been integrated with advanced features, such as smart conditional logic, to offer an excellent user experience. With this plugin, you can receive prompt email notifications whenever somebody fills up your form. And then, there is a variety of modules available for this plugin. 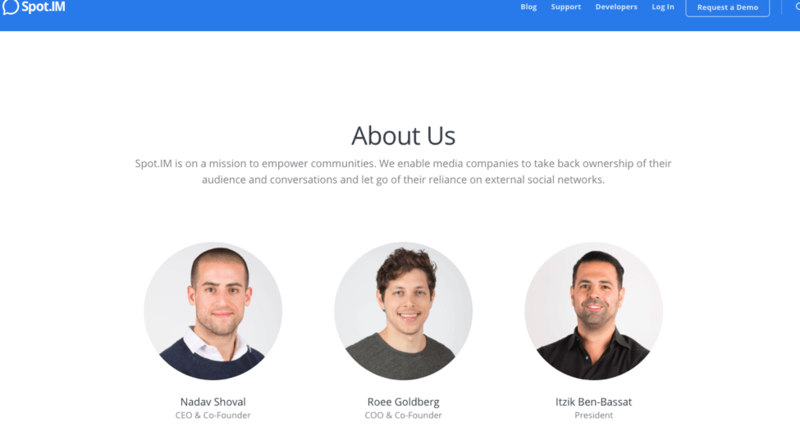 You can also connect weForms with other tools, like MailChimp, AWeber, PayPal, and many more of them. Not just a single-pager, this plugin can also be used to create multi-page forms. This plugin is a very useful customer relationship management software, designed specifically by keeping eCommerce in mind. WP ERP lets you learn and understand more about your visitors as well as subscribers. And then, you can utilize that data to tweak and edit your customer acquisition strategy accordingly. Using custom fields, events, and tags, you can track the data of your customers. The Purchase Intent marketing feature of this plugin can help you identify your top customers. One of the best things about this plugin is that it doesn’t take a lot of time to set up and you can get started within a few minutes. It comes with pre-built life stages for your customers and you can segment them that can be used effortlessly. WP ERP CRM is one of a kind plugins that lets you concentrate mainly upon customer relationship and enhance it to increase conversion. Building a website, establishing social media platforms, and displaying relevant information isn’t enough to expand the business and bring high conversion rates. Instead, keeping visitors engaged is one aspect that should be considered quite essential. ReferralCandy is a plugin that helps you amazingly when it comes to keeping visitors and customers hooked for a long time. With this tool, you can create astonishing referral programs to reward your customers with store credit, cash, free products, or discounts. This plugin comes with inbuilt widgets that can be used just with a click of a button. Whether you require a post-purchase popup, click-to-open popup, or an embedded sharing page, ReferralCandy can fulfill all your requirements with ease. Being associated with the world of the internet always keeps the stakes higher. An alarming increase in data breaches makes it essential for you to take extra precautionary steps as far as the security of your website is concerned. Hence, BackupBreeze is a plugin you can rely upon. Keeping the website protected is a considerable way of assuring visitors that their information and data is safeguarded by you. This, in turn, increases the probability of them trusting you and making a purchase from your site. Competent enough to work with any theme and WordPress version, BackupBreeze can keep your website backed up and secure. If you wish to save space, you can use its inbuilt logic feature to select the files that don’t require a backup manually. Designed to create stunning and mobile friendly sales pages, webinar registration pages, landing pages, product launch funnels, and more; OptimizePress has become a widely-acclaimed tool among online business owners and marketers. If you’d like to build customized pages on your existing website, this plugin is built to fulfill your requirements effortlessly. Moreover, the latest version of this plugin is also integrated with a live editor type of page builder. It lets you either choose a blank page to build your site pages or use any of the prebuilt templates. With the help of an equipped editor, you can easily add content to your pages. Not just that, but the editor also displays how your finished page is going to look like, even when you’re mid-way through the editing process. Coming to call to actions, the importance cannot be denied, specifically if you’re trying hard to increase your conversion rates. This is one such element that needs to be engaging and on-point. Thus, WordPress Calls to Action plugin lets you create enthralling CTAs. Being a website owner, you can gain the power to track and monitor conversion rates and run multivariate or a/b split tests on your call to action buttons with an objective to increase the flow of leads. This plugin was mainly designed by keeping the best practices of inbound marketing in mind. The primary aim that it carries is to help you obtain and convert more leads to your website. There is an abundance of features that you can find in it, like visual editor, popups for CTA, cloning option, etc. With all these plugins available at your fingertips, experiencing a drastic failure in future CRO strategies would be nothing less than the worst decision of your life. Now that you know the kind of plugins that can help you gain better returns on your investments, it’s time to make an effective move. If you haven’t used any conversion optimization plugin yet, try one of these options and relish amazing benefits.